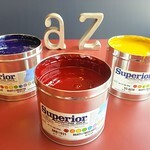 A to Z Printing offers all types of commercial printing services including short-run printing, in-house creative graphic design, wedding announcements and promotional items. We believe in doing our part to keep the earth beautiful. We use varying levels of recycled paper and paper made from sustainable forests. 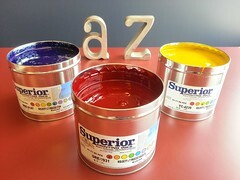 We also use seed-based, zero-VOC inks and biodegradable toners. We recycle anything and everything we can, from used printing plates, used inks, cardboard and plastic wrap, to recyclable items our employees bring in from home. It's our little way of saving the planet. We purchase paper from paper mills that use 100% wind energy. We have been a supporter of the LES Renewable Energy Partnership Program since its inception. We were the first printer in Omaha/Lincoln to be certified by the FSC and Rainforest Alliance (2007). Although we ceased participating in those programs, our products currently exceed the standards.